Use creativity to help kids find a Win-Win! Your kids are arguing – (again!) – about what game to play, who got the bigger serving of pie, and who had more time playing video games. You want to teach your kids the valuable skill of compromise, but you feel helpless and frustrated as your kids tune out your well-intended words. 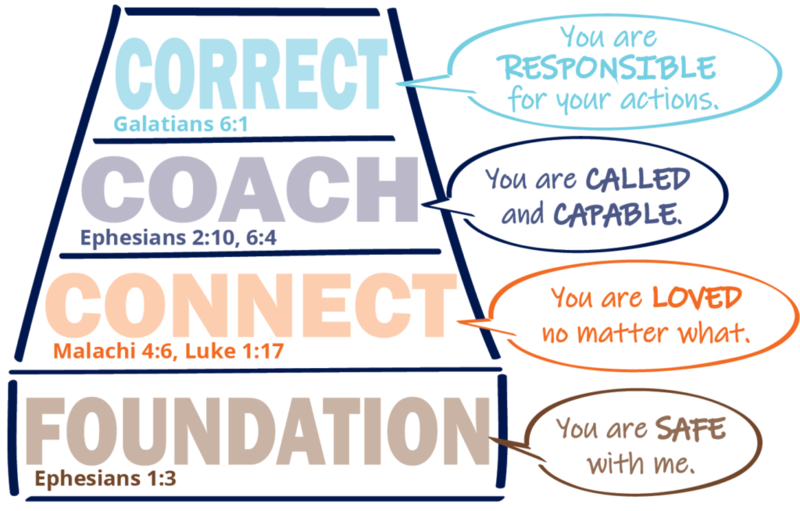 What comes naturally is to tell your kids, with exasperation, to “Figure it out! Or NO ONE is getting what they want.” The problem with that? Compromise and problem-solving don’t come naturally to all kids – it is a learned skill. Rather than lecturing or making demands when kids are arguing, we’ve found that the very best time to teach is outside of the moment. Yes – doing this takes planning. And yes – your kids might object to your efforts. But it is worth it! Concepts that we often try to teach with lectures could be better taught with creativity. If Jesus frequently taught adults through stories and object lessons, we could learn from His example and also use a little creativity to teach our children. Try asking, “Which is the most unselfish square?” “Which is the most selfish square?” Talk through the chart and see what ideas your kids have about compromise. If sibling relationships aren’t an issue, then talk through how this might be used with a friend. Tell your kids a time when YOU had to compromise to find a win-win. And then (big gulp) tell a story about when you held your ground, wouldn’t compromise, and ended up in a no-win situation. Your kids can learn from both your successes and failures! Don’t worry! If you can’t think of a personal story, you can Google “stories that teach compromise” to find one that is a good fit for your kids. Object lessons make a huge impact! Object lessons are a great way to help kids experience the life skills we want to pass on – without lectures! Kids are much more likely to retain an idea if they learn through an object lesson rather than simply being told. 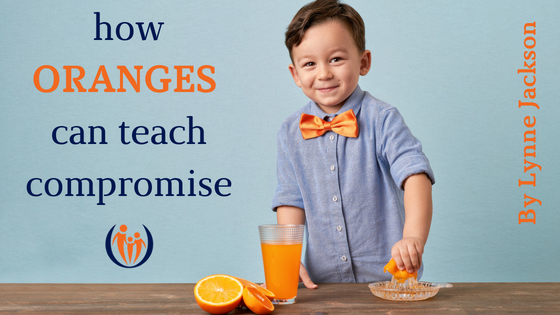 Since problem-solving and compromise are important for all ages, we’re sharing an object lesson using oranges to help impart these life skills. This activity is designed to teach listening, how to ask thoughtful questions, and how to find a win-win as kids work towards a solution. The end goal is to make tasty cookies with one child (or group) providing the juice, and the other child (or group) providing the zest. Neither child (or group) will know what the other wants. With your encouragement, they’ll keep talking and discussing until they figure out a win-win. What’s important to you? What specifically do you need? How could we compromise so everyone gets most of what’s important to them? So whether you try object lessons or stories, watch your family’s compromise and problem-solving skills grow when you use a little creativity to teach them! Join us for a five-session online course designed with busy parents in mind. In our course Sibling Conflict: From Bickering to Bonding we teach parents how to teach their kids The Peace Process. Could you use a little peace in your home? Join us today! ← Sibling Squabbles: To Intervene? Or Not Intervene?